An earlier Iranian satellite launch. Iran is preparing to conduct a major ballistic missile test in February 2017, following the inauguration of the next U.S. president into the Oval Office, according to a timetable issued by the Islamic Republic. Iran is continuing work on advanced ballistic missile technology and has been engaged in various tests to perfect this work. 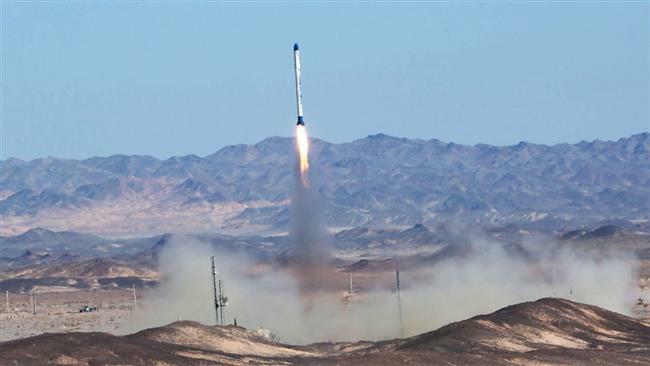 Iran conducted a test launch earlier this month of its Simorgh space vehicle, which has emerged as a key piece of the Islamic Republic’s goal to perfect intercontinental ballistic missiles that would be capable of striking the United States with a nuclear warhead. The most critical test of this system will take place in February 2017, when Iran is scheduled to perform a “full launch” of the system, according to research performed by the Foundation for Defense of Democracies. The test is being viewed by experts as just the latest in a string of provocative military moves by Iran aimed at testing the United States’ resolve and commitment to international provisions barring these types of missile tests. Iran is believed to be working in consultation with North Korea on this technology, raising further concerns about illicit nuclear trade between the two rogue nations. While the above may sound speculative and a little alarmist we wouldn’t dismiss it entirely. Because although we don’t believe that Iran has a nuclear weapons program, the Ayatollah Khamenei having forbidden their development, we can well believe that Tehran has developed longer range and even intercontinental ballistic missiles. 1) The U.S. recently threatened to impose new sanctions on Iran, specifically to contain its missile development program, which has continued to enhance the accuracy and sophistication of Iran’s locally developed missiles. Iran’s response to the U.S. threat was defiant. The Ayatollah Khamenei ordered the country’s scientists and engineers to redouble their efforts to increase the range and accuracy of locally developed missiles. 2) More missile tests followed and although none were of “intercontinental” missiles, all were deemed successful by the authorities. Meaning that they may have been used to test key components for a longer range missile. 3) In the aftermath of those tests a senior Iranian diplomat announced that the country was capable of producing intercontinental ballistic missiles. Hamid Baeidinejad made this announcement with an air of confidence that suggested there was some substance to his claim. Leading this writer to suspect that recent Iranian launches had indeed been used to test longer range missile components. 4) Finally, although Iran may not have a nuclear weapons program and their development has been forbidden by the Ayatollah, that doesn’t mean that it hasn’t acquired some through a back channel. Keeping them as an insurance policy should the U.S. decide to employ “all options” against the Islamic Republic. Ed.